Willa Mae Calloway, age 84. Sunrise May 22, 1934 and Sunset January 21, 2019. 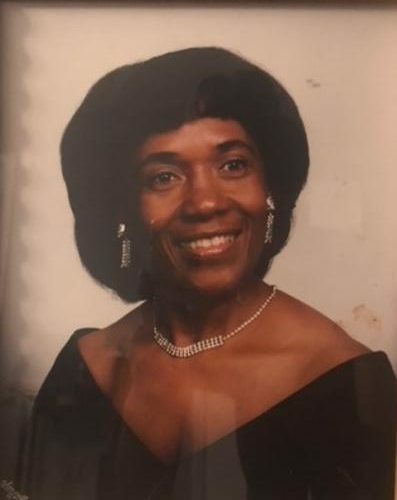 Visitation 10:00am and Funeral 11:00am Saturday, January 26, 2019 at Friendship Missionary Baptist Church 1775 W Broad St, Columbus, OH 43223 . To The Calloway Family and Friends. In our times of deepest need, the tenderness and Grace of CHRIST is a Refuge like no other. He alone understands our Sorrow and draws near in Love to wipe away our Tears. Praying that His Comfort and Assurance will give you Peace in the time of Loss. We have nothing but fond memories of Sister Willa. We go way back to the Bethany Baptist days. Praying for you during this very difficult time. Our sincere condolences to the family, In the loss of your love one. How comforting it is to know that Jehovah the God of comfort will eliminate all grief and provide permanent consolation when all those in the memorial tombs will come out. Expression of sympathy. I’m sending my sincere condolences to the Calloway family and friends. This is one of life’s greatest challenges that we have to face. Jesus said, did, and promised something that gives us comfort and hope. In the Bible at John 11:11-14, Jesus likened death to sleep. This Comfort us in two ways: 1) we are assured by those words that our loved ones are not suffering or in pain. 2) If a person is just sleeping, he will wake up! Notice what Jesus does next at John 11:43-44, this is amazing! If you would like to know more details about this, please download a free copy of the brochure Good News from God @ Jw.org and read lesson 6 along with the Bible. This promise brings me comfort when I lose a loved one in death and I hope it brings you comfort too. WE ARE SOOO SORRY FOR YOUR LOSS. Dear Angela, I am sending you my prayers and condolences. To you and your family. God bless you. Love Joyce Hayes and family. I sincerely am sending you my condolences. I have fond memories of your mother when we were younger. May Yeshua keep you with much comfort and His perfect peace. To the Galloway family. My heart is with you and your family at this time of your loss. There is comfort in knowing God’s promises about the resurrection hope. (Acts 24:15) and (John 5:28,29) In the past God has resurrected humans and He is eager to do it again because He hates death. (Mark 5:41-43) To learn more about God’s promises go to JW.ORG. Love Your Neighbor Irish J. Richardson. Our love and prayers are with you all doing this your time of grief ! The Usher Ministry, Mt. Lebanon BBC ! We send our heartfelt condolences to the Calloway and Dawkins family as you go through this valley experience. May you be comforted knowing that our God is with you and that prayers are being uttered on your behalf. Condolences to the Calloway & Carter Family. Our Condolences to the Calloway & Carter Family!